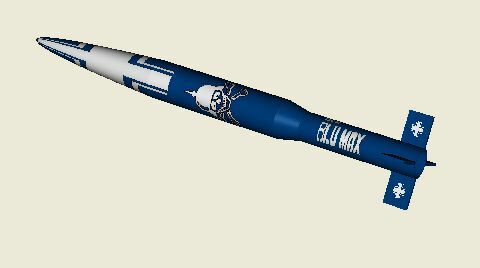 Essence's Model Rocketry Reviews (EMRR) is finally getting around to introducing our fourth "virtual" rocket contest. We are excited as these "virtual" contests have been an EMRR innovation and we see no limits. This time, we want to encourage more participation and use the inspiration from a new EAT kit. 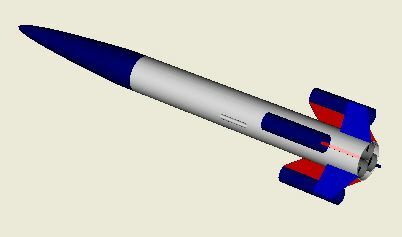 Therefore, welcome to our Newbie-Edge Tri-Roc "Virtual" Rocket Contest. Grab your copy of RockSim (or the Demo version) and build a rocket that meets the requirements below and the "virtual flying" contest will take place on June 27, 2004. 2% Bonus will be gained on each contest flight if you have never participated before: "Newbie-Edge"
Entries must be received by 6/26/2004. Contest will take place from 6/27 - 7/2. Rocket and Motor selection for Events #1, #2, and #3. These must each use a different Rocket Bottom. Rocket and Motor selection for Contest #1, #2, and #3. These must all be a different rocket. EMRR Comments: I'd like to see Bill win the choice of the Triatomic kit so he can finish it like this! How do you make paint do that? Well, it is a "virtual" contest. 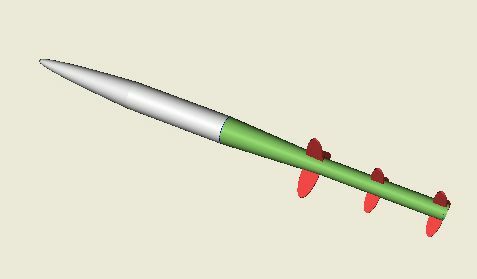 EMRR Comments: First veteran competitor and thinnest tailed rocket I have ever seen. Be sure to expand the pics to see some of his fin details. Event #5 - Eye-Appeal running away! 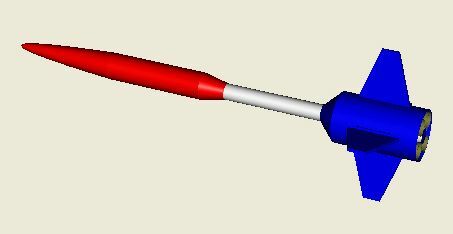 EMRR Comments: Bruce is a master of RockSIM. No one can deny that. 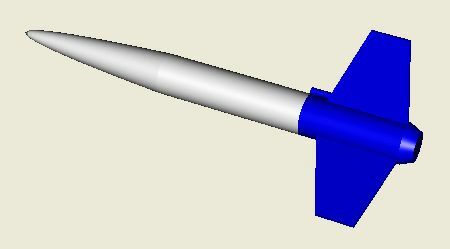 He can make it sim many types of rockets and has wrote many articles on it. Okay, we can see that he can now use the texture feature of 7.04... but can he turn theory into "virtual" practice? EMRR Comments: I always appreciate a Demo submission, because these folks have challenged to test without saving and then submit it to be "built" by someone else. EMRR Comments: First to utilize RockSIM 7.04's decal feature and check out the wings! Very cool! EMRR Comments: Whoa! 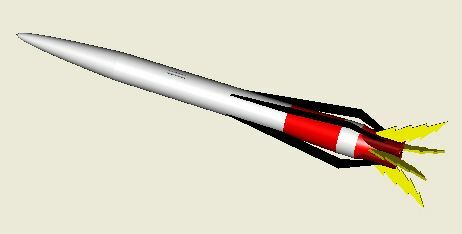 A three-stage Altitude rocket. Rock(et) and Roll. 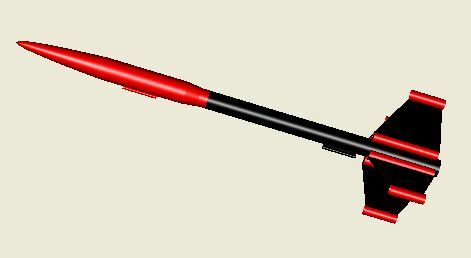 Check out the 3D image of his Mother's Helper (Todd says think Rolling Stones when considering the name). EMRR Comments: Doesn't the altitude look a lot like a Screamin' Mimi. Will it "scream" past the competition? Joe's Low Stress also looks like something I would enjoy building... colors and fin shape. EMRR Comments: I always enjoy 1st entries, and in this case from a new Virtual Rocket competitor! 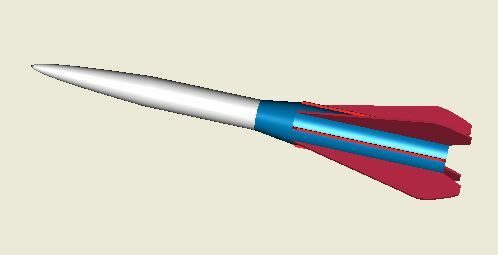 EMRR Comments: Chan calls the Speed rocket the "virtual-cigar". Does it smoke the competition? We'll see. I love the looks of his Low Stress entry. EMRR Comments: Clive said, "Not quite sure if I had a chance to test all kinds of variables, but I'm sending it in anyhow." Is this a preparatory excuse, or a way of making the competitors over confident? Hmmmm? EMRR Comments: New-comer, Bill Toner, went with the red-white-blue theme and said he learned a lot about RockSIM through this contest. Bill... think about composites. 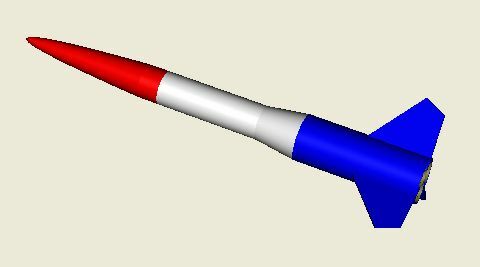 EVENT #1: Speed: Your first of three rockets will fly in RockSim 7 default conditions with your choice of motor configuration. The objective is to attain the Maximum Velocity possible. Comments: The F50 was clearly the motor of choice, as long as the design supported it. Look how close the top 5 were to each other! 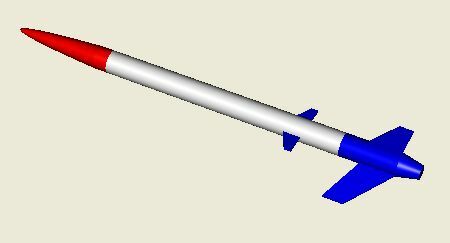 EVENT #2: Altitude: Your second of three rockets will fly in RockSim 7 default conditions with your choice of motor configuration. It will then fly with a "contest impulse motor combination"*, a "contest mass-override"*, and in RockSim 7 default conditions. The objective is to have the highest combined altitude and a safe landing within the field. The placement score will be the Altitude (ft). Comments: I think we can all see what Bob worked on the most. Interestingly, the setting to 8oz and using some created "F" motors didn't move the results around from the "as submitted" design. 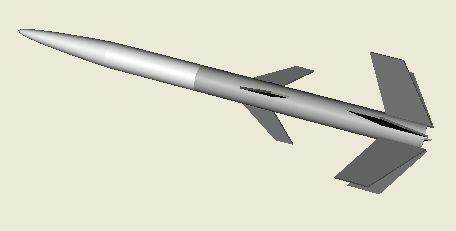 EVENT #3: Speed: Your first of three rockets will fly in RockSim 7 default conditions with your choice of motor configuration. The objective is to attain the Maximum Velocity possible. Comments: Can you say "perfect"? Look at Bill's and Bob's. It is interesting that 5 of the 11 used their cluster rocket for this contest. 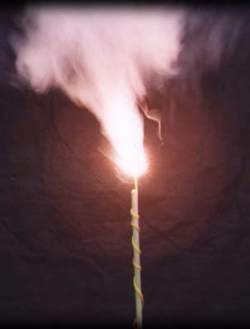 EVENT #4: The Drag Race: your rocket will compete in an all-rocket drag race with and your choice of motor combination. All will fly at once in three races with your selected launch rod angle. The flight must have an acceptable landing speed and within the field. 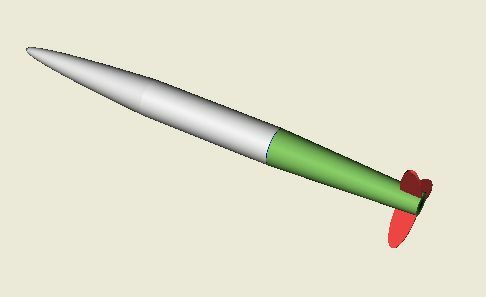 Placement will be based on 1) Fastest to clear launch rail (sec) with 48" rod; 2) Longest time to landing (sec), and 3) Lowest Range (closest to pad in feet). Comments: Look above (below for picture) at everyone's three rockets and what they selected for the Drag Race. Five picked their Speed rocket, one picked his Altitude rocket, and five picked their Low Stress rocket. 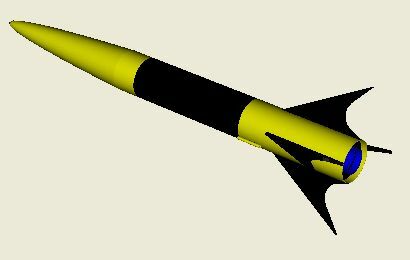 Especially notable is Frank Ross' Low Stress winged-rocket! 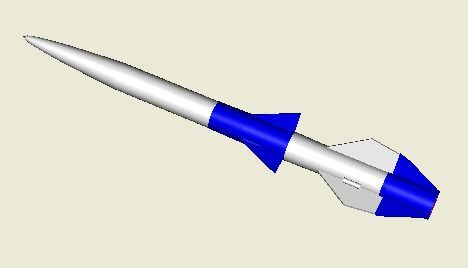 EVENT #5: Eye-Appeal: your three rockets will be voted on to determine the best looking and most creative "Tri-Roc" combination. The objective is to have your rocket "catch" the eye of the beholder. Comments: The voting was really interesting here, but in the end the winner was the one that did the most with the 7.04 Decal feature. Hopefully manufacturers will discern the "eye-appeal" decals add and start putting them in their kits. * Voting used the Top Three method and the ranking to resolve ties. The only tie was Cox and Stevens and the ranking placed Cox (161) ahead of Stevens (181). Lower score is better. For reference Levison had 71 in the ranking. Comments: Everything is now FINAL. Fun contest! More ideas for my EAT Triatomic. 40% of the contestants were Newbies, so that is good and positive. The bonus didn't do much for them so I'll need to work on that for other contests. Lost a bunch of contestants from other contests. Perhaps they'll be back along with our Newbies in the next contest. Oh, yes, the next contest will be run by Bob Cox (that way I can compete!) I'm taking voluteers for the running the contest after that. It will be hosted on EMRR and I'll still take care of all the web-stuff. The 1% (or 2%) bonus improves your virtual flights by 1%. For example if you fly to 1540 feet, you will be recorded at 1555 feet. Yes, not much, but we suspect some very close competition. How's this Drag Race work? NOTE: If you have 7.00 - 7.01 this feature has a bug in it. So don't get frustrated with the results. Apogee will has corrected this. You should work hard to keep it within the range of the field. 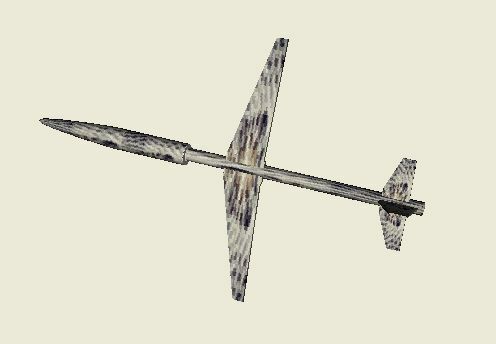 The "Default conditions show a 36" launch rod, but the directions show 48". Which one are you planning to use? 36" for all except Event #4, which will be 48"
"The rocket top is standardized, no changes allowed." 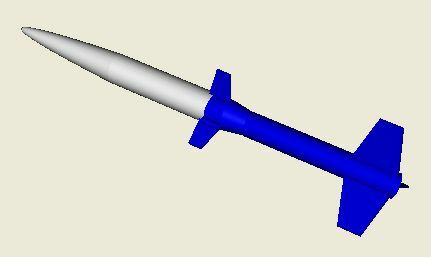 However, if I am building the rocket bottom of a smaller diameter, can I mount my launch lug on the rocket top? "At least 1 Rocket Bottom must use two-sets of 2-6 fins per set". Does that mean 'per stage'? If for example one of my designs is a two-stage bottom (i.e. 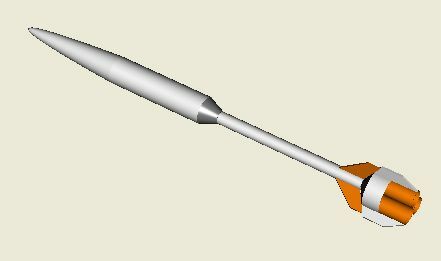 booster and sustainer), and each has a set of fins, does that satisify the "Rocket Bottom must use two fin-sets" design criteria?